As the executive director of Klehm Arboretum & Botanic Garden, Alex Mills wants to care for the plants, shrubs and trees around him, but he also wants to plant seeds in the minds of visitors, young and old, to grow their appreciation for nature and what Klehm holds in store for them. Your Home: How is Your Air Quality? Inspiration & Worship: Love Our Enemies? 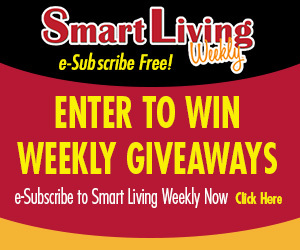 Congratulations to Amy Haller, of Belvidere, this week’s Smart Living Weekly giveaway winner! Amy takes home a $20 gift card to Lino’s, in Rockford. Next week’s giveaway is a $25 gift card to Dos Reales, in Rockford. Enter now by visiting northwestquarterly.com/contest. This entry was posted on Wednesday, January 23rd, 2019 at 5:00 am	and is filed under News & Events, Smart Living Weekly. You can follow any responses to this entry through the RSS 2.0 feed. Both comments and pings are currently closed.